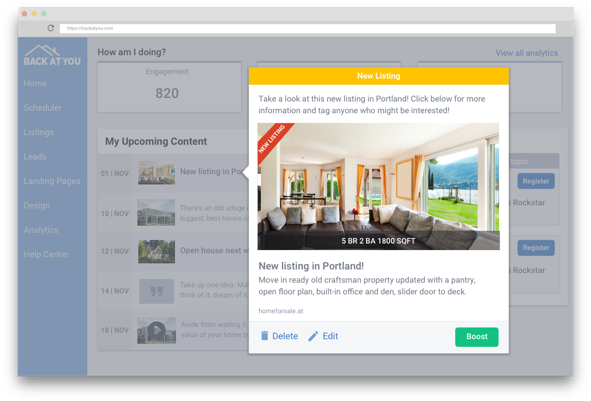 We created the most innovative service to automatically and beautifully, post and market your listings across your social networks. The post is automatically created, formatted to look great and posts at a time you pick. Single Property Websites demonstrate to the seller that you are doing everything possible to market the home. Sellers today are more tech savvy than ever, that’s why you need a Single Property Website that is customizable, has the ability to request a showing and is branded to you and collects buyer leads! Help potential sellers learn more about what their home is worth. 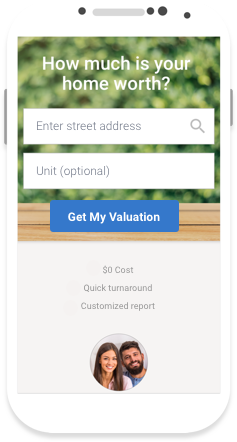 Now you can with the most mobile friendly lead capture page called, What is your home worth? Add this page to your newsletters, email signatures, ads and more. Never miss another lead. The advertising will be automated. This makes life so much easier for you! Back At You Media has your back! They are always there for you and will offer you great tips to help your marketing efforts. I highly recommend them. Great company, excellent customer service, they do what they say they will do, and are very knowledgeable! Finally found a good company to help move my business forward with social media! 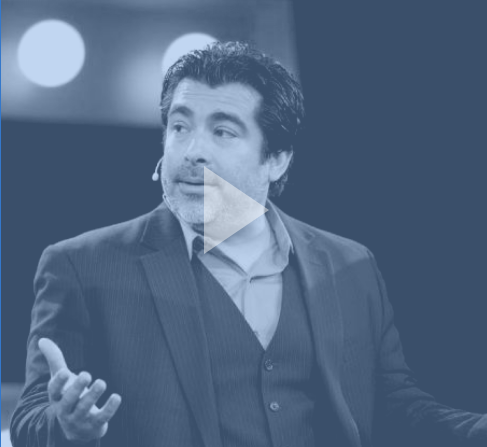 Brokers, are your agents missing the mark on social media marketing? Differentiate your brokerage from all the others by providing the NAR Starter for all your agents. 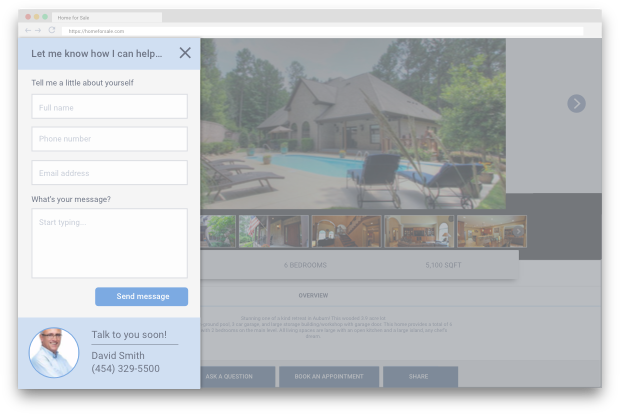 Plus, there are a lot of great features built specifically for brokers to amplify your brand, recruit new agents and market listings. *Posts to Instagram are only available when advertising (boosting) a post. Get more info about the NAR Exclusive Plan!